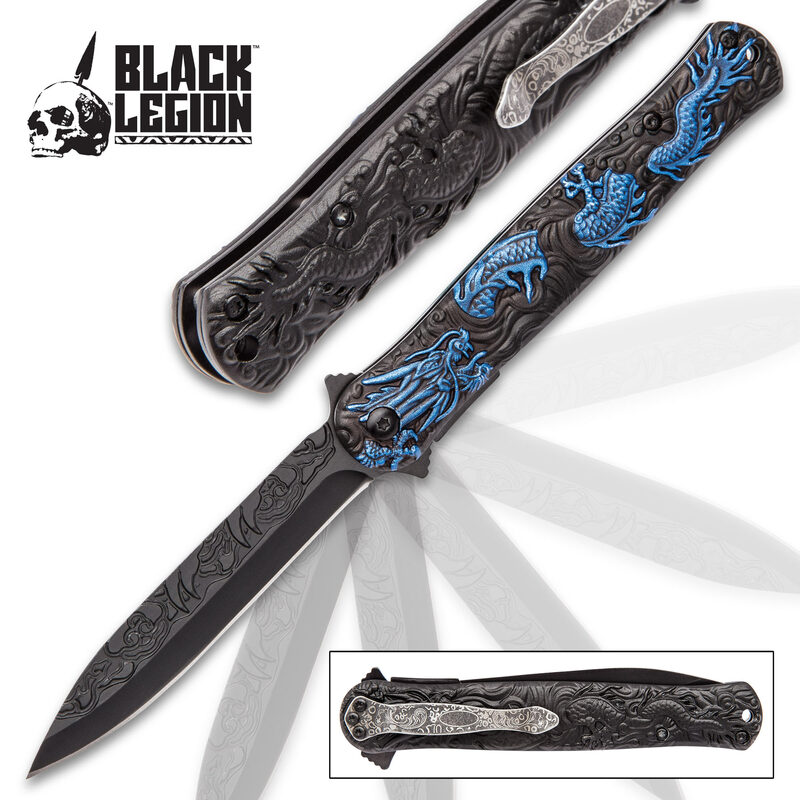 The Black Legion Blue Chinese Dragon Deity Stiletto Knife has incredible 3D dragonish details which really make it an outstanding fantasy knife collection addition. 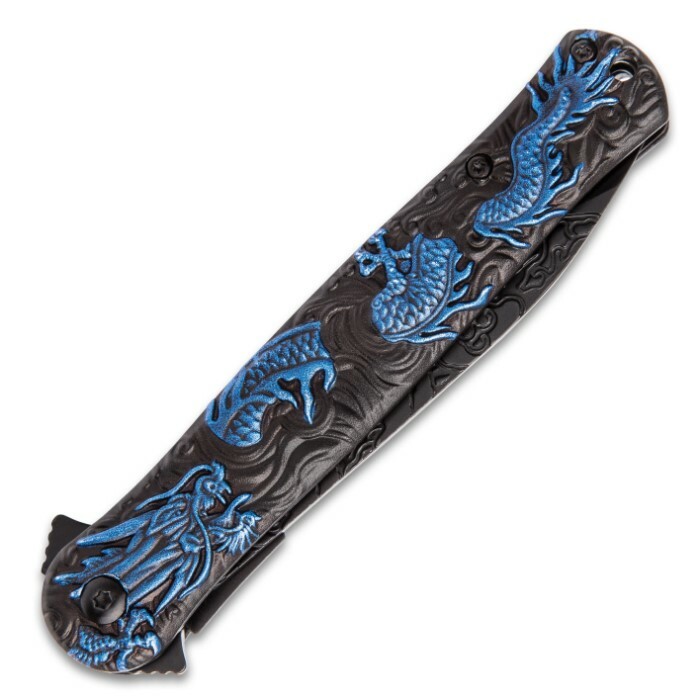 The black anodized aluminum handle has 3D artwork portraying a blue Chinese dragon which seems to be weaving its body in and out of the handle. 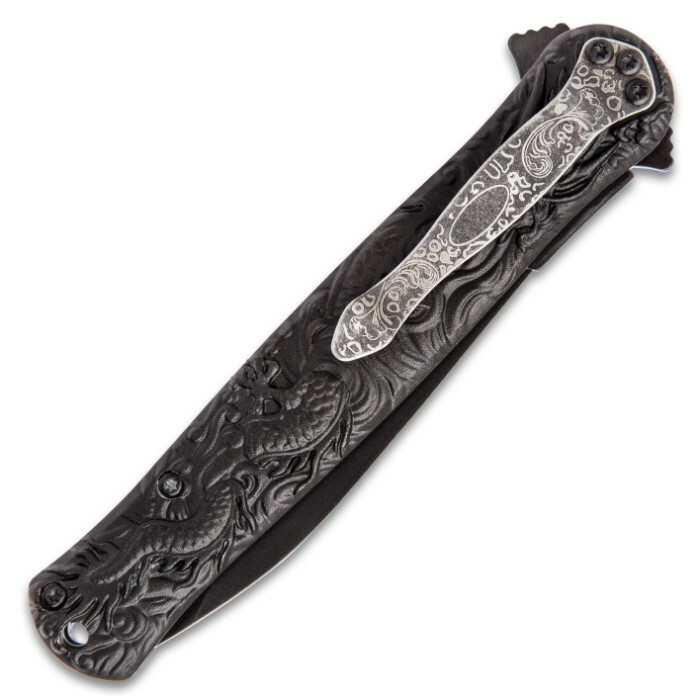 When this is paired with a razor-sharp 3 3/4” black stainless steel blade with an intricately carved pattern running the length of its spine, you get pure knife-crafting genius! Ordered an engraved, matching set. 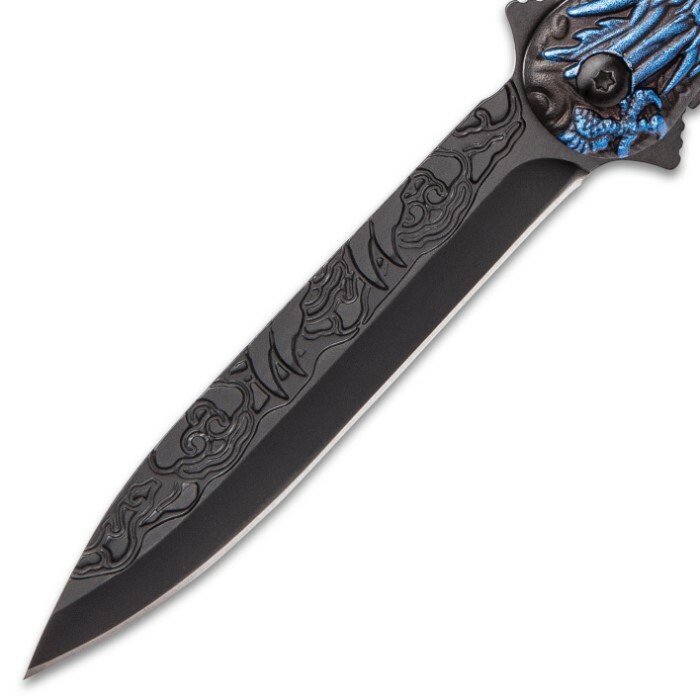 Super fast delivery, great value for an awesome pair if knives. Have ordered many products in the past and will order many more in the future. 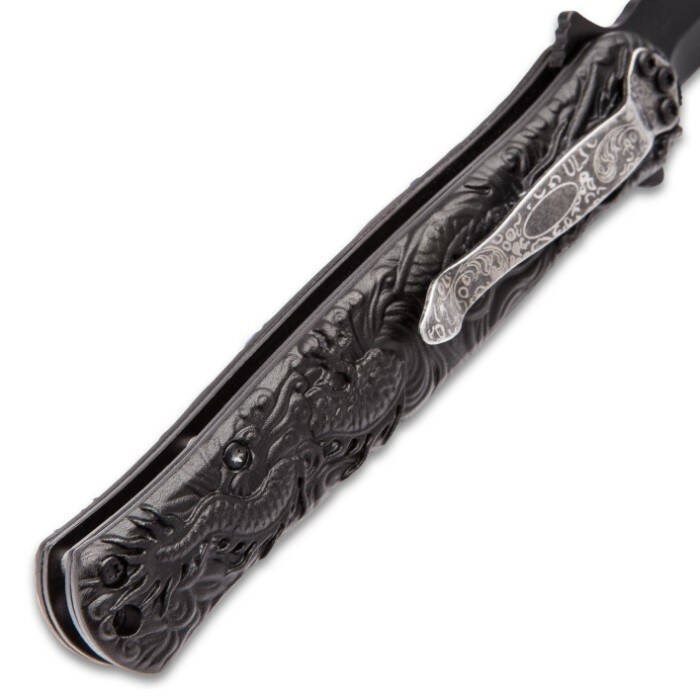 Bud K knives is a great company to do business with.